A 17-year-old from Ely, Cardiff has won a gold medal in the final of a national skills competition. 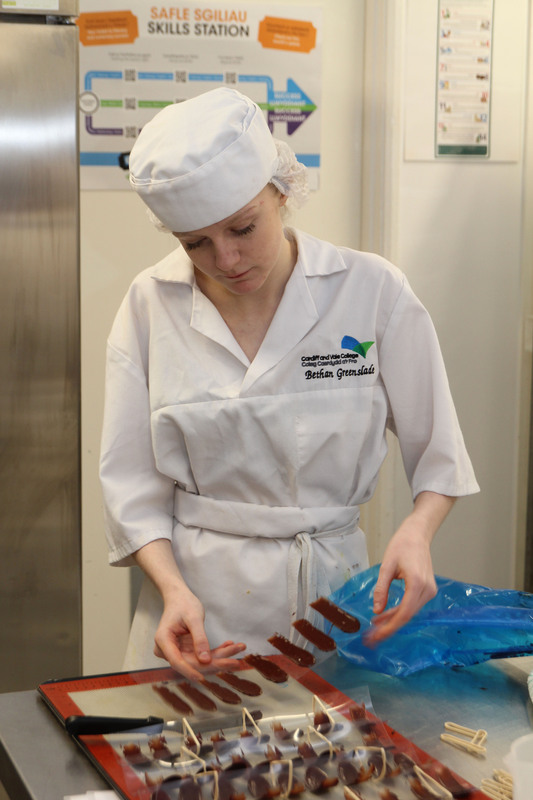 Bethan Greenslade, who is currently studying a Level 3 Professional Bakery course at Cardiff and Vale College, competed against five other students from across Wales in a series of culinary challenges within a 5-hour time period. The competitors were tasked with creating a chocolate and sugar sculpture with a height of 30cm, and 30 ‘petit fours’ – bitesize confectionary or savoury appetizers, weighing between six and 14 grams. Bethan said: “For my sculpture, I made a solid chocolate ring, surrounded by sugar flowers, which I’d practised once before in class, and the judges seemed to really like it. 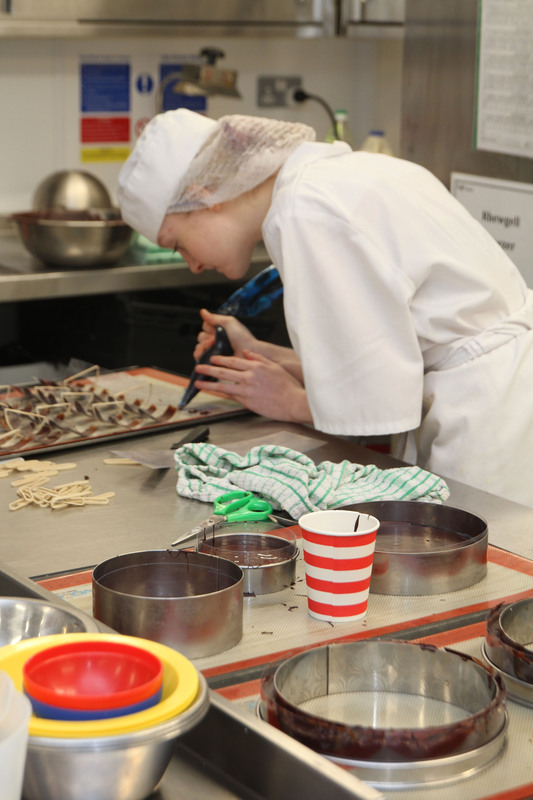 More than 50 competitions are taking place this year, across a wide range of different vocations from bricklaying and hairdressing to aeronautical engineering and culinary art. The successful youngsters may then go on to be shortlisted for the UK Squad, competing against the world’s most talented young people at the EuroSkills competition in Austria, in 2020, or the WorldSkills international final in Shanghai in 2021. Minister for Welsh Language and Lifelong Learning, Eluned Morgan said: “Competitions like these are essential for establishing transferable skills for the future, and allow young people at the start of their careers to flourish. “They provide individuals from Wales with the opportunity to demonstrate their skills as well as the chance to go further and compete on a national or even international level.